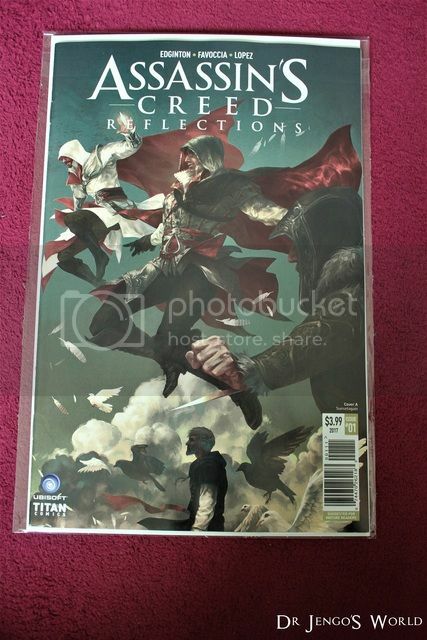 Another new Assassin's Creed Comic Series from Titan Comics! 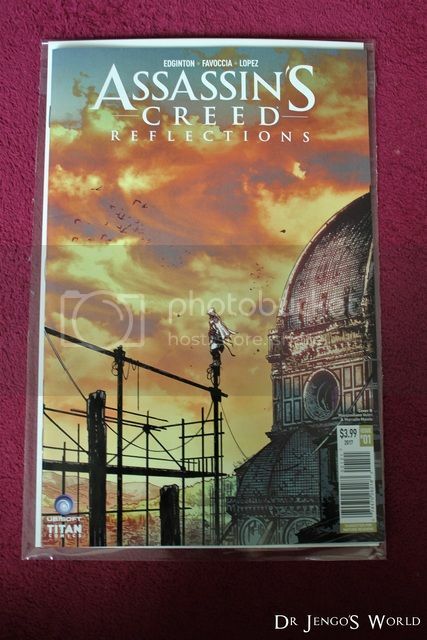 This new series is Assassin's Creed: Reflections and it focuses on the Assassins, which we all know, from the video-games. 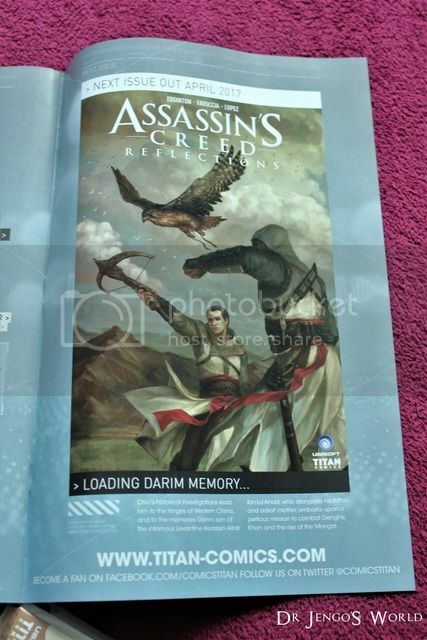 This will be a 4-part mini-series and will tell stories of Assassins like Ezio, Altair & Edward Kenway. 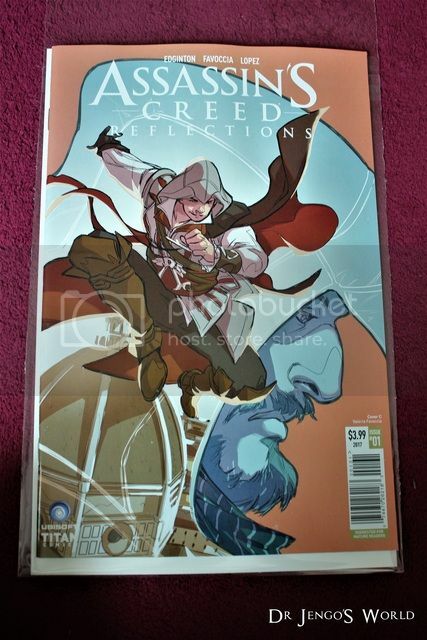 Issue 1 came with 6 variants..
with the covers illustrated by various artists.. Very beautiful! 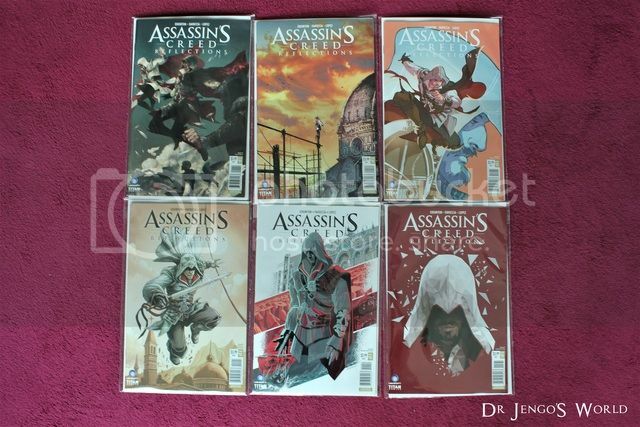 My favourite would be Cover A, with Ezio's looks from different stages of his life. 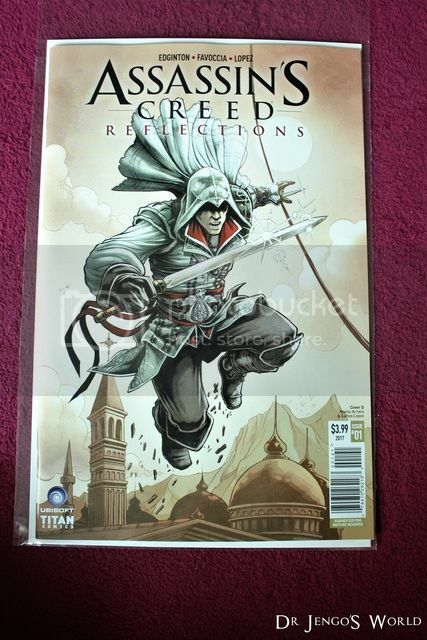 Also, personally I like this series more than some of the previous ones. 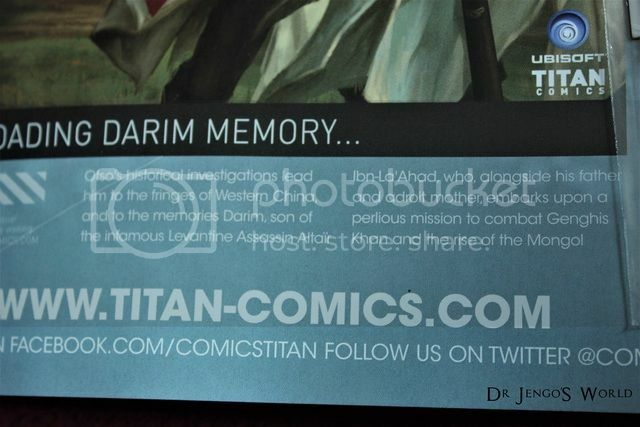 It definitely helps when you already have an attachment to the characters. 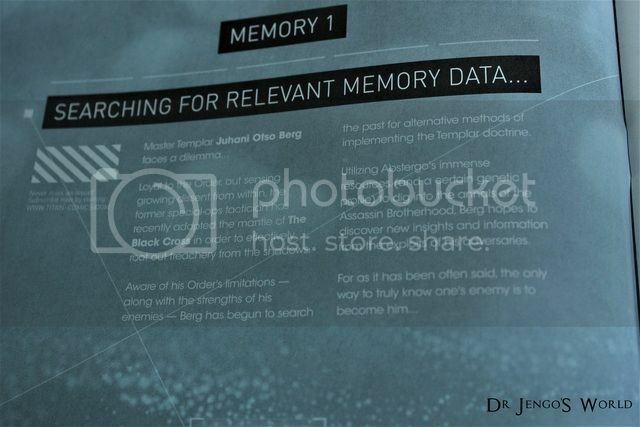 The series focuses on modern-day Master Templar Juhani Olso Berg, who will tap into the Assassin's memories to understand them better; "To know your enemy, you must become your enemy". 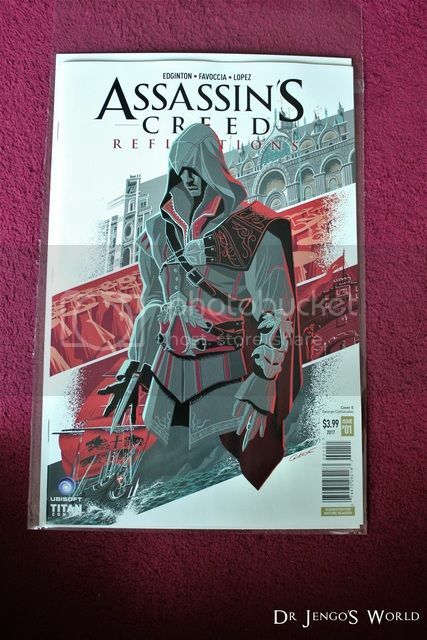 In this issue, Berg will tap into Ezio's memories where he meets Leonardo da Vinci and recalls a relationship with someone we all know from one of the artist's real-world famous paintings. Not to spoil anything, but it's hilarious and trust me, you will never look at this painting the same way ever again. 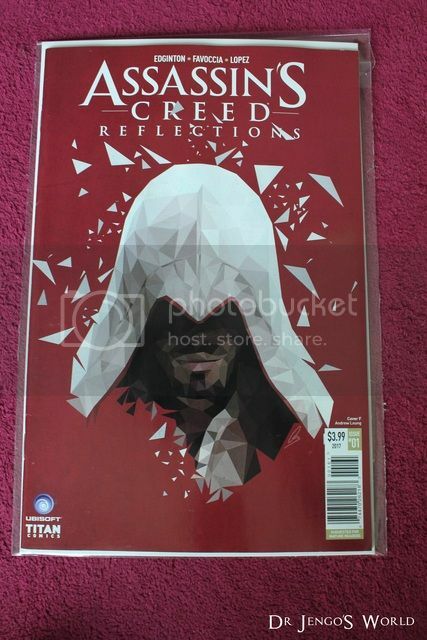 Even my wife had a laugh when I told her the story..
A nice short story, doesn't add anything much to the lore but I definitely got a good laugh out of this.. Next issue will turn the attention to Altair and I'm definitely looking forward to it..
Below is 1 of the covers of Issue 2 and a synopsis on what we will be seeing..